Wondering what to do in Incheon? I understand, it can be difficult to know what to do there. So I put together a list! Nine + travelling = Ninelling. Ninelling is a travel blog in search of wow-moments arount the world. I am always looking for new interesting experiences… so stay tuned! Alcohol, nature and wellbeing - Finland is known for many things. See this blogpost to know more what it is like to be living in Finland! What are my most popular blogposts 2018? See the 10 most read posts here! I’m Nine from Finland and this is my travel blog. 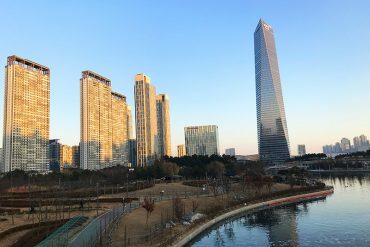 I started the blog when I was an exchange student in Seoul, during the fall semester 2017. And now I continue writing about my other adventures around the world. Stay tuned for more interesting experiences and my search for wow moments around the world! Do not take images or content from this site without written permission. Ninelling • Copyright © 2019 • Powered by Cedric R.